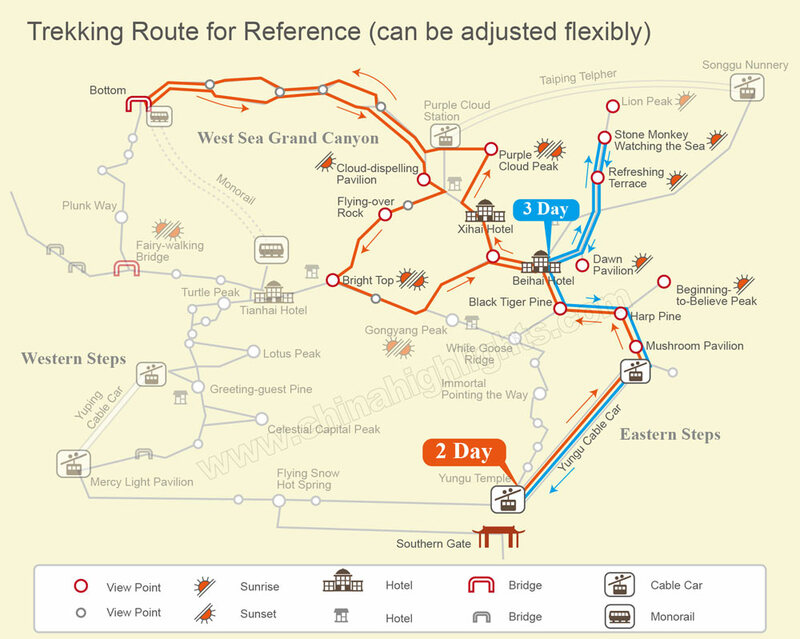 The tour guide will pick you up from the hotel in Hangzhou city then transfer to Huangshan. Check in the Huangshan International Hotel in Tunxi. Walk to Dawn Pavilion to enjoy the dawn of the sunrise. Then visit the Refreshing Terrace and the clouds sea. Then take White Goose Cable Car Station and visit Hongcun Village. 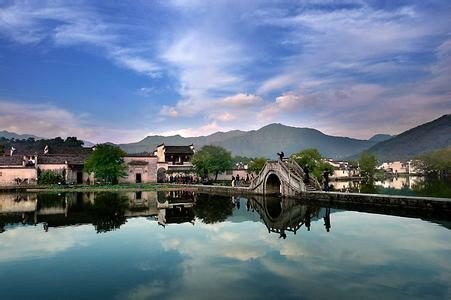 - Hongcun Village: Hongcun is located in the southwestern foot of Mt. Huangshan and about 11 kilometers off the southwest of Yixian County. After this visit, transfer back to your hotel in Hangzhou, tour end. In 1987, Huangshan City was established with its administration area in the old town of Tunxi. 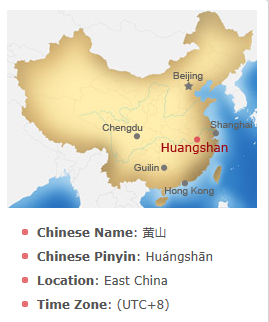 The City of Huangshan is named after Mt. Huangshan (黄山 Yellow Mountain) under its jurisdiction, about 80km north of Tunxi. "Huangshan" is locally referred either as the City of Huangshan or Huangshan Mountain. Huangshan Mountain is famed for its beautiful landscape - Staggering sunrise and sunset, fantastically shaped granite peaks, the gnarled forms of ubiquitous Huangshan pine trees, and the other-worldly sea of the clouds. Also much of Mount Huang's reputation derives from its significance in Chinese art, literature and profound cultural resources. 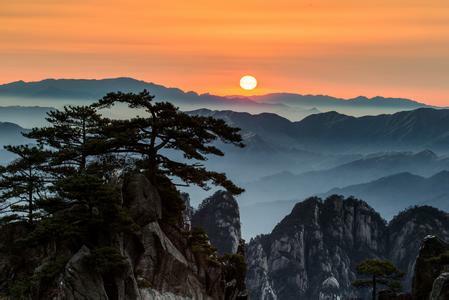 Located in the southern part of Anhui Province, Mount Huangshan extends across - Shexian, Yixian, Taiping and Xiuning. 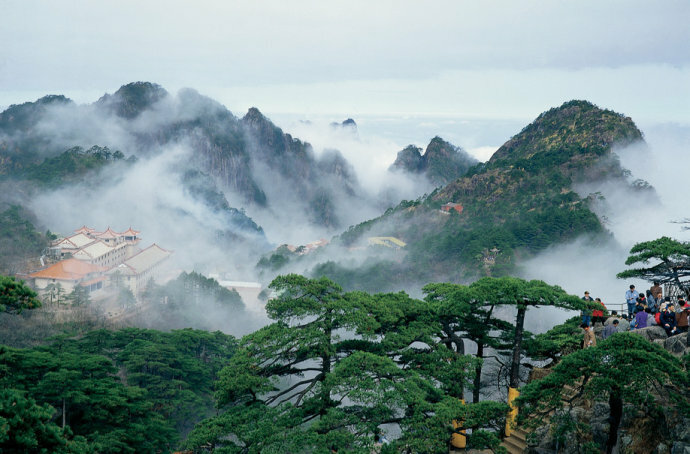 "Huangshan" literally means " Yellow Mountain". 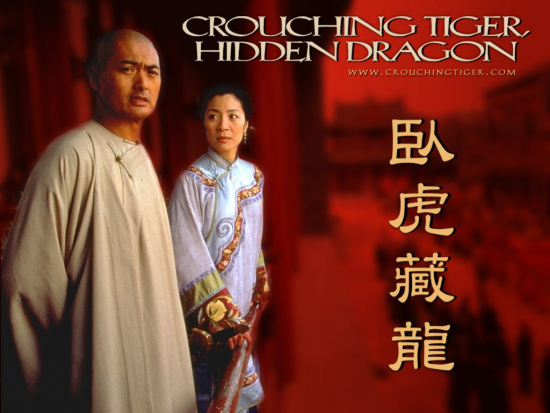 The name is commonly thought to have been coined in honor of Huang Di (the Yellow Emperor), a legendary Chinese emperor and the mythological ancestor of the Han Chinese. The World Heritage Committee of UNESCO inscribed Mt.Huangshan on the list of Natural and Cultural Heritage on the World in 1990. 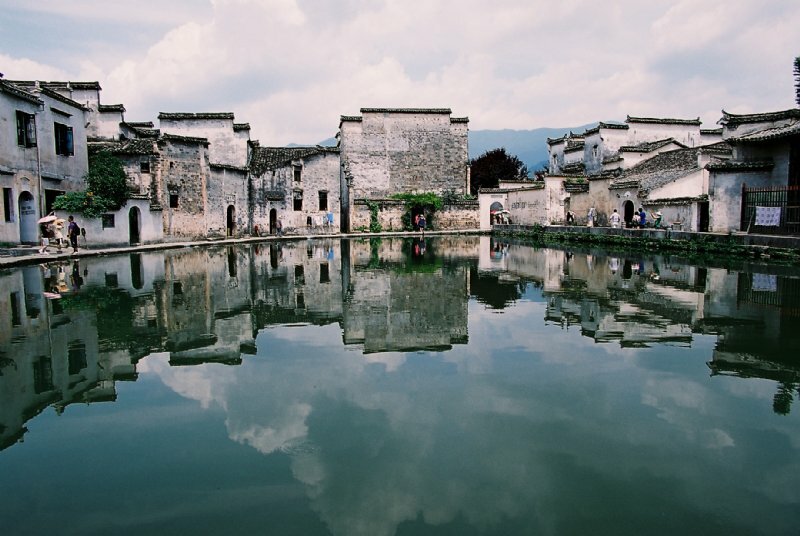 The nearby villages of Hongcun and Xidi were also named part of a UNESCO World Heritage Site in 2000. In 2002, Mount Huang was named the "sister mountain" of Jungfrau in the Swiss Alps. Today it holds the same fascination for visitors, poets, painters and photographers who come on pilgrimage to the site, which is renowned for its magnificent scenery made up of many granite peaks and rocks emerging out of a sea of clouds. It is said that you won't want to visit any other mountains after seeing Wu Yue ( the collective name given to China's most important mountains), but you won't wish to see even Wu Yue after returning from Huangshan Mountain.